I recently moved from Kentucky to Idaho, so instead of focusing on whitetails this hunting season, it’s all about the elk. I harvested my first elk last year, and I’m ready to put number two in the freezer this year. Hunting elk on public landing in Idaho is definitely different than hunting whitetails on my farm in Kentucky. We aren’t using feeders, minerals and supplements or food plots to bring the elk in, and hunting elk typically requires much more physical effort than hunting whitetails where you have long periods of sitting in tree stands or ground blinds. Scouting for Elk – Before you can harvest an elk, you have to know where they are. Pre-season scouting can mean the difference between packing out meat or going home to tag soup! Use maps to get a lay of the land – I use the Hunt App by onXmaps to research my hunting unit. It identifies each hunting unit, private and public land, roads and trails and more. Glassing – A quality pair of binoculars or a spotting scope is a must for glassing. During summer scouting, look for herds of elk in fields in the evening and watch where they’re coming from and where they’re going. Look for rubs and game trails – If you find an area that has rubs from several years ago to the most recent season, that’s a good indicator that the area consistently has elk. Game trails provide insight on where elk are coming from and going to, and will likely lead to food, water or bedding areas. Look for Water – Animals need water. That’s a fact. Find water, and you’ll find animals. By the time fall arrives in the west, water is limited. There isn’t much rain during the summer months, and many of the small ponds and watering holes in the mountains that form from snow melt are dried up. Find a watering hole and see what kind of tracks you can identify. 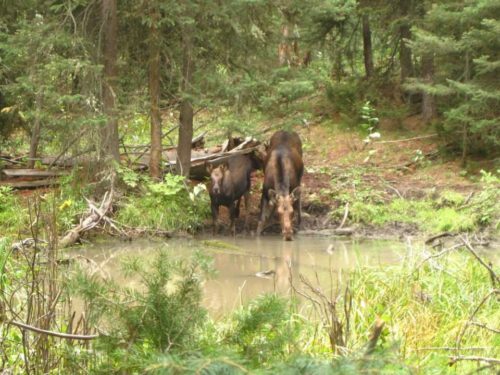 The photo below shows two moose drinking from a mountain-top pond in Idaho; this pond is also frequented by elk and mule deer. Elk will travel from high in the mountains to lakes and reservoirs at lower elevations, so look for game trails to determine where they’re coming from. Look for beaver ponds, as elk and other game will use these too since they will hold water throughout the summer and fall seasons. 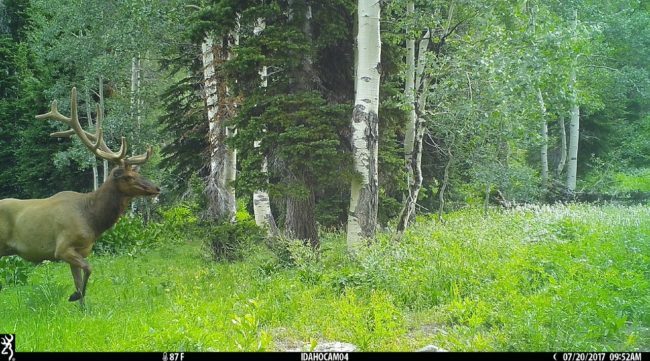 Use Game Cameras – Game cameras are useful when trying to pattern elk and other game. Place cameras in high-traffic areas, around watering holes or in bedding areas. Put cameras out early in the season to watch bulls growing their antlers, cows with new calves and identify if there are predators in the area. Battery life – You most likely won’t be checking cameras frequently, so it’s important to select a camera that has a good battery life. I prefer cameras that take AA batteries; Not only are AA batteries usually cheaper, but they seem to last longer. Picture quality – A camera in the 2-6mp range should be sufficient for most people. Higher mega pixels do not necessarily mean better quality. Infrared or flash for night-time pictures – Infrared cameras don’t seem to spook animals and are not noticed by humans. Additionally, an infrared flash seems to help preserve battery life. 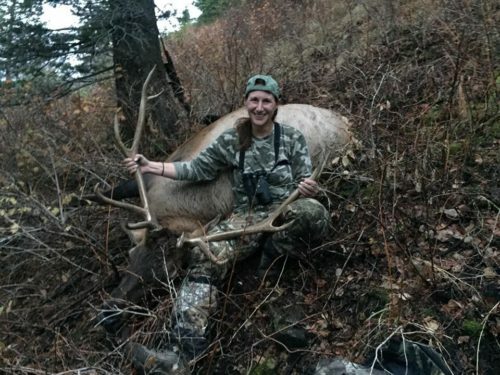 Prepare Yourself Physically – As I mentioned already, I learned through my personal experience that elk hunting is more physically demanding than hunting whitetails. Elk hunting is spot-and-stalk hunting, rather than a sit-and-wait hunting. 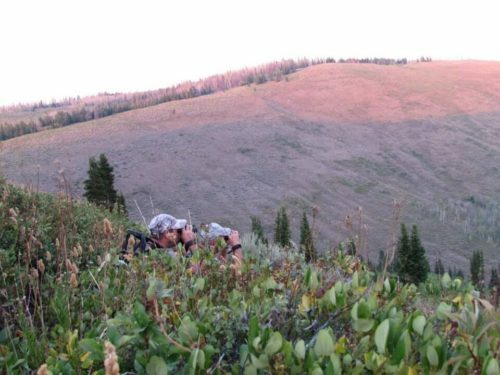 Listening for a bull bugle, spotting elk from across a ridge—then going after it. This means you could be hiking up and down steep inclines, stepping over a lot of downed trees, walking through high brush, and hopefully packing out a heavy load of meat. Because of this, it’s important to train yourself and get into shape for the hunt. If you’re everyday life doesn’t include much physical activity, start walking, jogging or climbing stairs. Spend time in the woods prior to hunting season hiking trails of various distances and inclines. This is a great way to scout! Hike to your cameras instead of riding your 4-wheeler. Carry a weighted pack to simulate packing meat from the mountains. 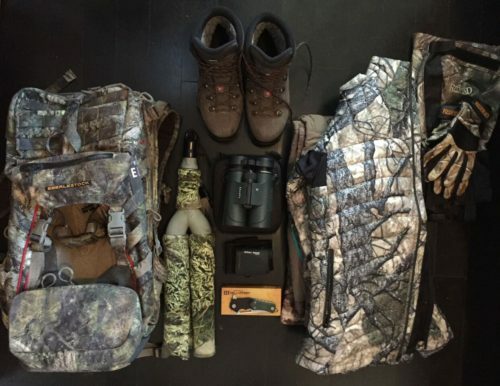 Get Your Gear in Order – Prior to season, take inventory of your hunting gear to identify new items you need, what needs to be replaced and what you have that you no longer need. The gear you’ll need depends on your hunt—whether you’re going on single day hunts, multi-day backcountry hunts or if you’ll be hunting with a guide/outfitter; it also depends on whether you will be bow hunting or rifle hunting. The Rocky Mountain Elk Foundation has a helpful checklist available on their website. 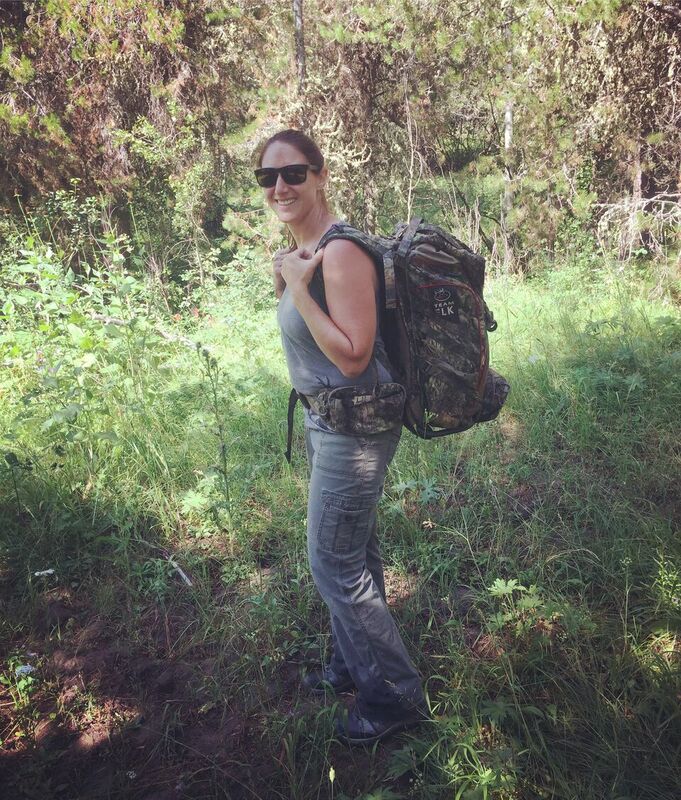 Sarah Honadel is an avid outdoorswoman from Kentucky, now living in Idaho, who enjoys huntingelk, deer and turkey. She is a Team Member at Huntress View and Brand Champion for ReelCamo Girl, two organizations that work to support, encourage and empower women in the outdoors. Follow her on Instagram @waddysarah and @arrowridgecreations.